Despite Pininfarina's current financial chaos the designer is pressing ahead with its ambitious plans to build an electric car in conjunction with Bolloré (top) and has just previewed its latest sports car design for Ferrari, the 458 Italia. Tata Motors may not join the race to pick up a majority stake in Italian car design firm Pininfarina, contrary to expectations that the Indian carmaker will make a bid to fulfil its plan to have a specialised design company, reports The Economic Times. The Tatas are not keen because the firm, which has developed cars for the likes of Ferrari, Jaguar and Rolls-Royce, has recently lost a number of key people from its design team, people familiar with the development said. Tata Motors, however, is looking at picking up minority stake when Pininfarina opens an India centre, a company spokesman said. The family owners of Pininfarina, which holds 50.6 percent in the design company, recently announced that it is planning to sell a majority stake in the company to prepay debt that totals more than 600 million euros. The Tatas, with whom the Italian business family has a close association, were seen as top contenders along with French financier Vincent Bollore who is working with Pininfarina on an electric car. But it may not be Pininfarina, which designed the Tata Prima, a concept luxury sedan displayed at the recent Geneva Auto Show. 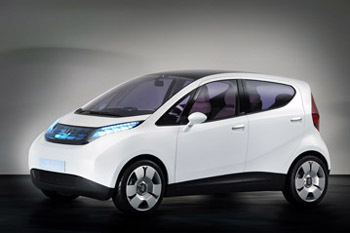 “There is no real prowess in Pininfarina after the recent exit of many key designers,” said a design industry insider. Like any knowledge-centric company, an auto design firm depends on its expert team to gain business. On the other hand, its well-known brand name may still attract Tatas to Pininfarina, best known for designing Ferrari models and the IPR designs, another industry executive said. When contacted, a Tata Motors spokesperson said: “As and when Pininfarina opens an India centre, Tata Motors will take a minority stake in it.” He clarified that Pininfarina is not designing any car for the company at present. While French financier Bollore has said he would consider taking a stake in Pininfarina, Indian car designer Dilip Chhabria is keener on picking up talent from the Italian firm. According to Mr Chhabria, Italian design firms such as Carrozzeria Bertone and Pininfarina are in trouble with liabilities exceeding assets. “Most of such design firms got into contract manufacturing. With auto manufacturers building up their own in-house design and manufacturing teams, these design firms started losing out on business,” he said. Italian carmaker Fiat bought a bankrupt Bertone earlier this month. 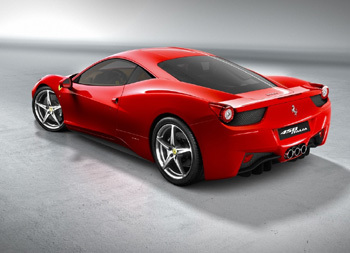 Pininfarina’s latest model is the recently-unveiled Ferrari 458 Italia. Other models it has designed that are currently in production include the Alfa Romeo Brera and Spider.